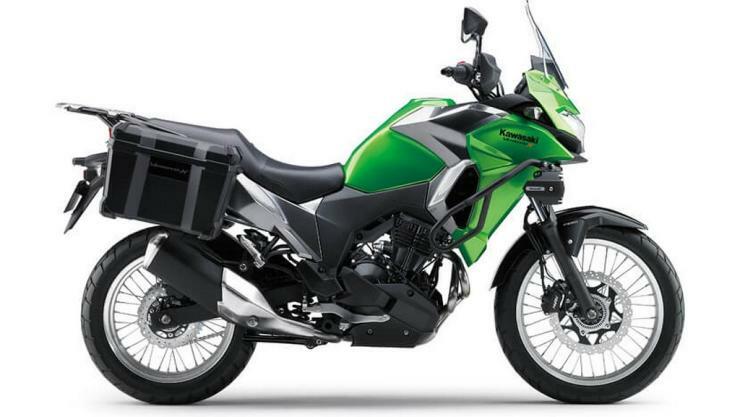 Japanese motorcycle maker Kawasaki has launched the Versys X-300 adventure bike in the Indian market. The bike is priced at Rs. 4.6 lakhs, which means that it is priced nearly three times the Royal Enfield Himalayan. The Himalayan is the cheapest adventure bike sold in India. The reason behind the high price of the Versys X-300 is that it’s not fully manufactured in India. Instead, it is assembled from imported completely knocked down (CKD) kits that Kawasaki imports from its home country of Japan. Bookings are now open across all Kawasaki dealerships in India. The Versys-X 300 will offer a high level of riding excitement and rider confidence in a wide variety of roads. What makes Versys-X 300 versatile is comfortable highway cruising and easy riding in the city. The Versys X-300 shares its platform with the Ninja 300, and uses the same parallel twin engine. The 300cc twin cylinder engine outputs 40 PS of peak power at 11,500 rpm and 25.7 Nm of peak torque at 10,000 rpm. The motor features fuel injection, liquid cooling, twin overhead camshafts and 4 valve heads. The engine is paired with a 6 speed manual gearbox that gets a slipper clutch. The off road oriented bits on the bike include 41 mm telescopic front forks, steel wheels with spokes, 19 inch front and 17 inch on-off road tyres, a high handlebar and a high seating position. The bike shares its instrument cluster with the Ninja 300, and also the backbone-type high tensile steel frame. It gets a high fairing around the headlamp, which is meant to deflect the wind blast from the rider’s chest. Brakes on both wheels are hydraulically operated discs and the braking system is ABS-equipped. 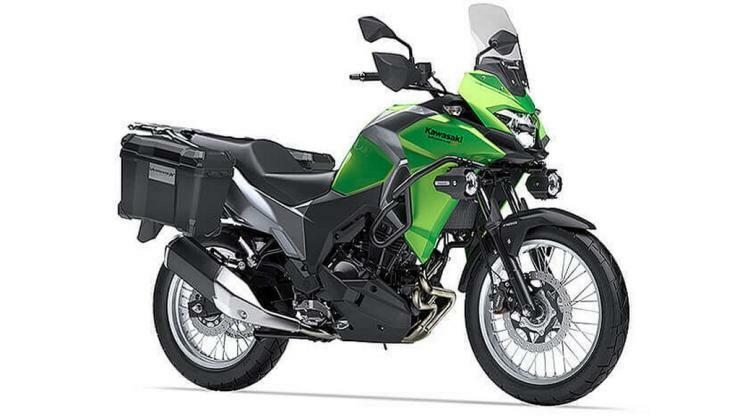 The Versys X-300 gets a 17 liter tank, which should give it a range of about 300-350 kilometers, and the bike weighs 184 Kgs. The seat height of 815 mm should be manageable for most riders in India. All said and done, the high asking price of this bike may turn of a lot of buyers. 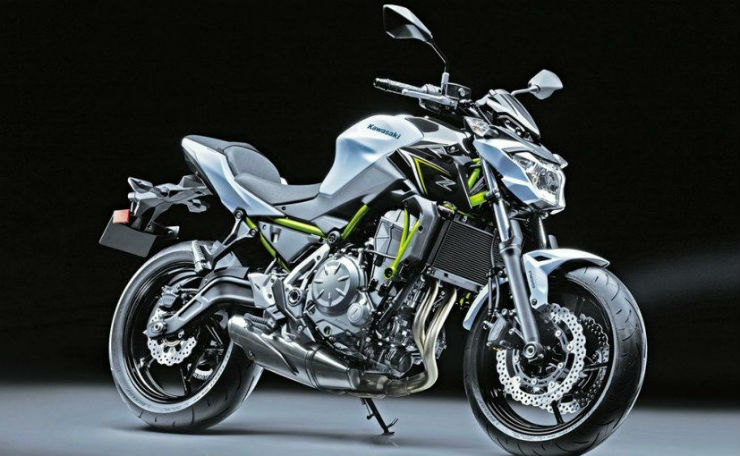 For example, the 650cc Kawasaki Z650 is costs just Rs. 39,000 more than the 300cc Versys, at Rs. 4.99 lakhs. Of course, you do get panniers, LED auxiliary lamps, crash guards and knuckle guards as standard on the smaller bike as standard fare. But the big question is, will it be enough to justify the price?